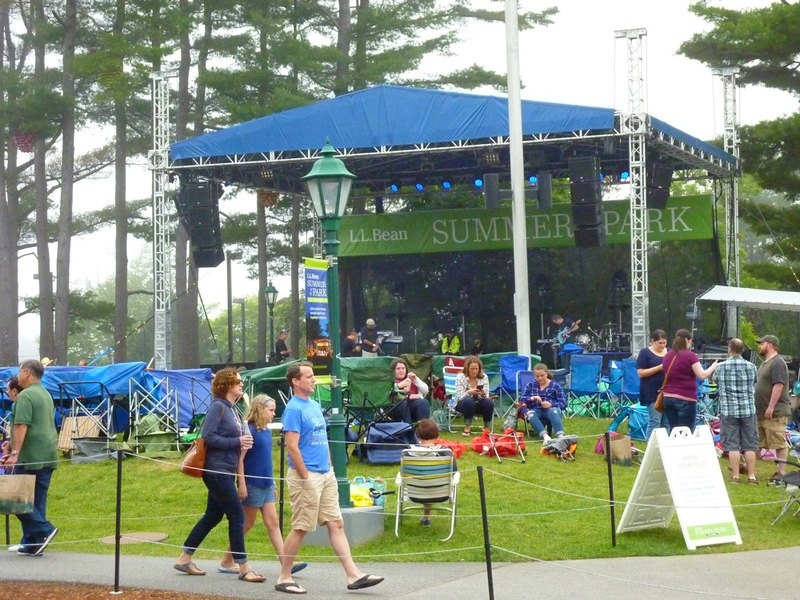 Article and photos by Eric Hurwitz. Page created on 8/7/17. I have known you as a friend for more than 50 years and you still feel like family to me. While the media and millions of customers have rightfully focused on your quality merchandise and honest, knowledgeable customer service that has lasted through the generations, I would like to focus on your sincere quest to become a successful small business owner. 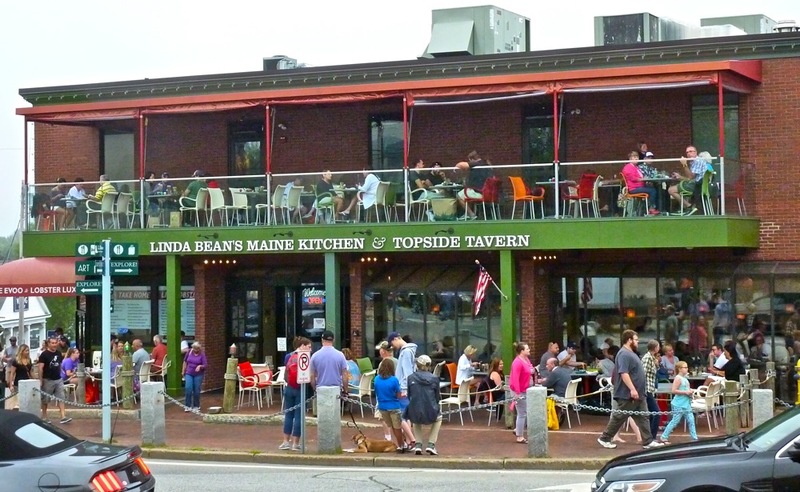 You started modestly in 1912 in Freeport, Maine, when the town had little more than your business -- quite different from the hundreds of shops and restaurants that line the streets in this small Maine town. 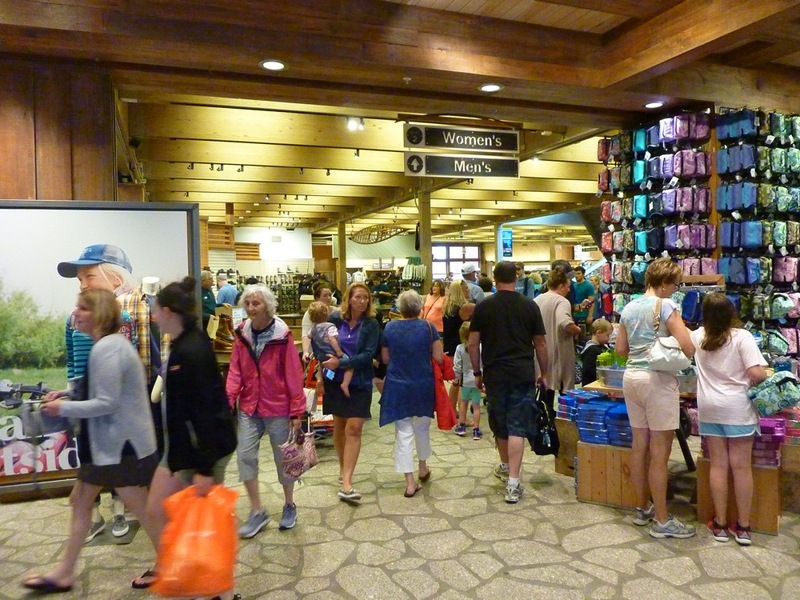 My understanding is that people caught on very quickly that your outstanding products and customer service set the template for a timeless outdoor store. You, the Bean family, never lost that vision and have actually helped set the standard for what the American Dream means -- and that anyone with an idea can succeed in our great country. There is a difference between thinking small and thinking small business -- the former doomed with limitations and the latter blessed with infinite success if cared for and nurtured. Kudos for choosing the latter. Today, I visited L.L. Bean in Freeport and, again, couldn't believe my eyes. That a modest-looking business in a quiet town has turned into a retail campus with several stores and attractions within a bustling town is astounding. Some old school types might not like the change (although I am sure they will always love your products), but I see all these happy people at your business and say "Keep on doing what you are doing!" Despite some people in our society that oddly oppose a commitment to excellence (often tying in with a lack of work ethic), there's nothing wrong at all with popularity and success. That is part of the American Dream. "Build it and they will come" is a common phrase and you, L.L. Bean, have done that so marvelously! Your L.L. 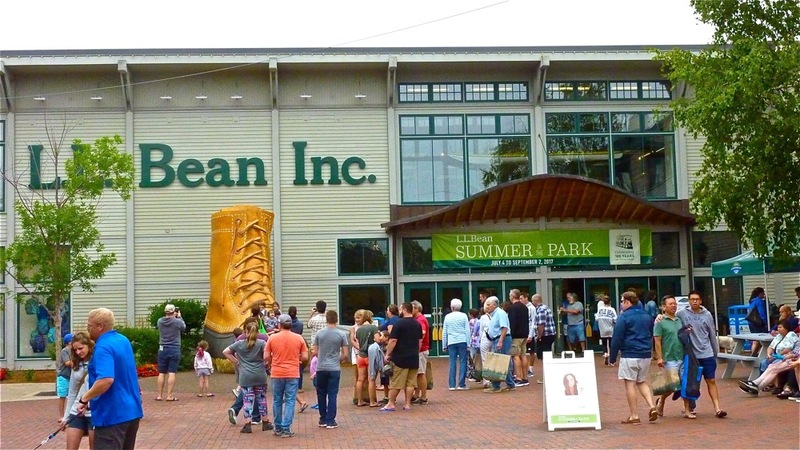 Bean campus in Freeport is stunning at every step of the way with its flagship, home, outlet (actually located across from the campus at Freeport Village Station), hunting and fishing, and bike, boat & ski stores in separate, beautifully laid out buildings and all the good stuff in between: camping, hunting, fishing and pet supplies, home furnishings and, of course, the durable and stylish clothing, boots and slippers for people of all ages. And, of course, the famous 16 ft.-plus tall L.L. 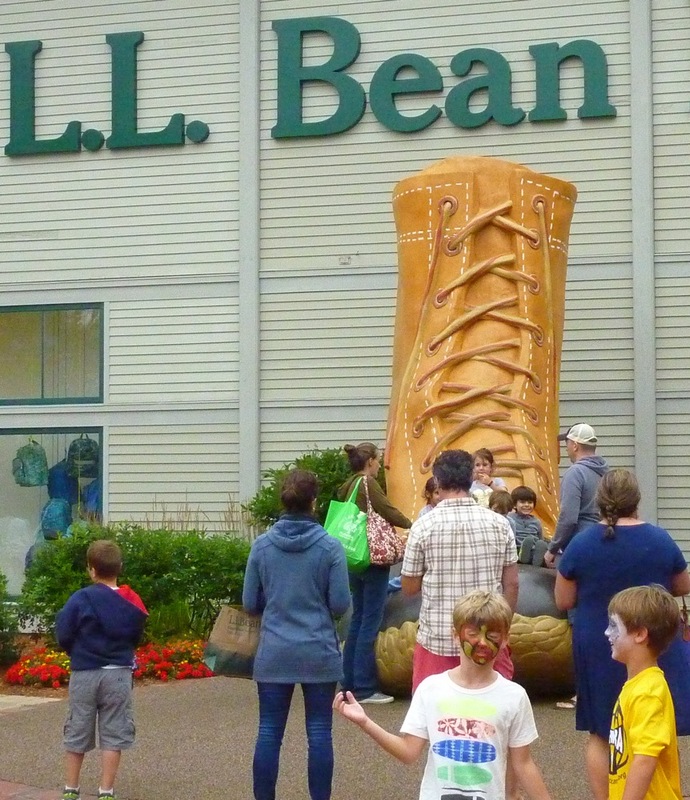 Bean boot serves as a microcosm to the enormity of your product selection and generous soul -- sorry for the bad pun. As a small business owner, you are an inspiration to me. I not only enjoy shopping at your stores in Freeport (and other locations), but feel this strong hope that other small businesses can find the success you have experienced. Following a passion, and embracing and respecting tradition while keeping an eye on the future is indeed a strong, proven platform for small businesses wanting to succeed. The proof: L.L. Bean. Great job to all! The L.L. 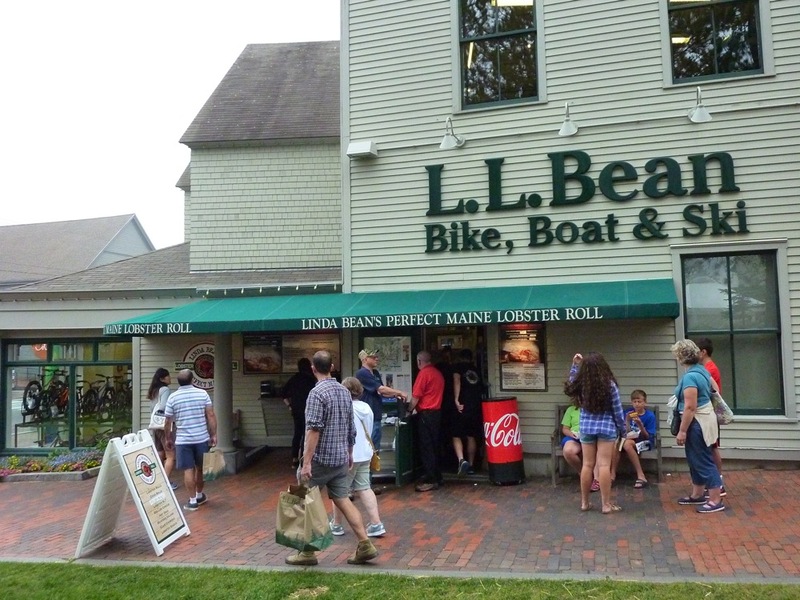 Bean Flagship Store is located at 95 Main St. in Freeport, Maine. Tel. 877-755-2326. Also be sure to check out the L.L. 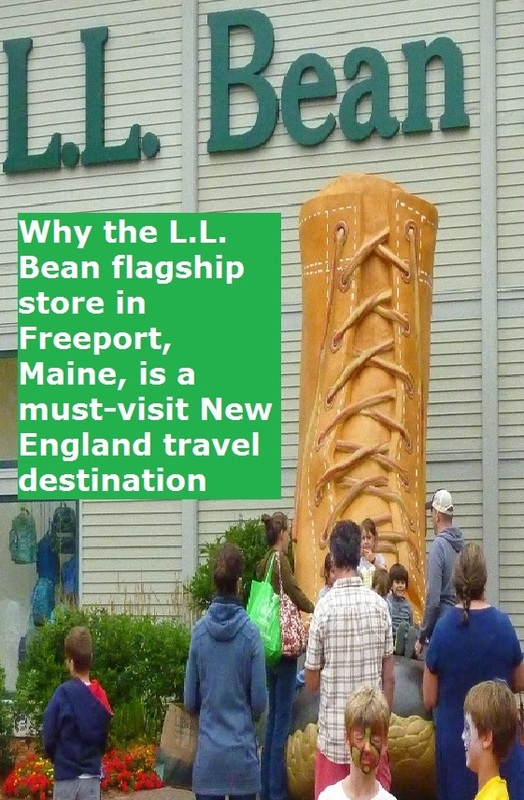 Bean Freeport Facebook Fan Page for updates and great photos! Looking to stay at a hotel within walking distance of L.L. 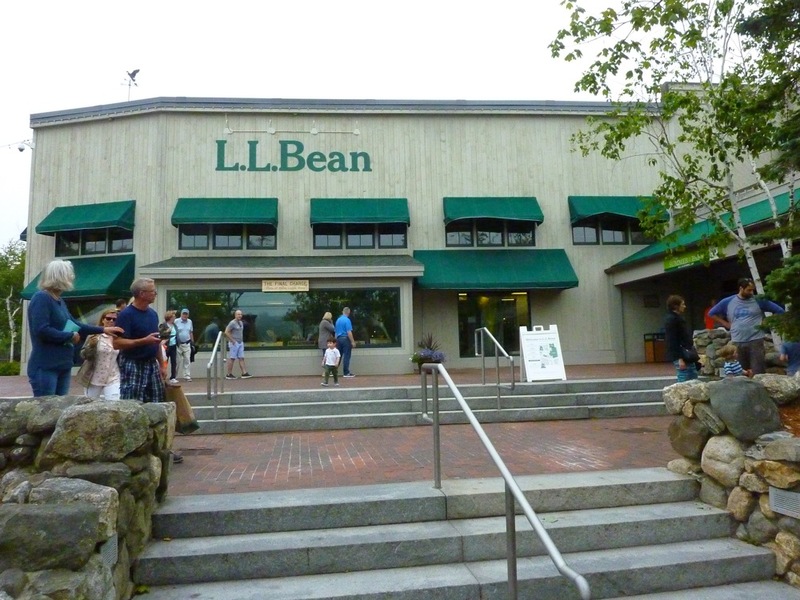 Bean in Freeport? Check out the charming, historic Harraseeket Inn.